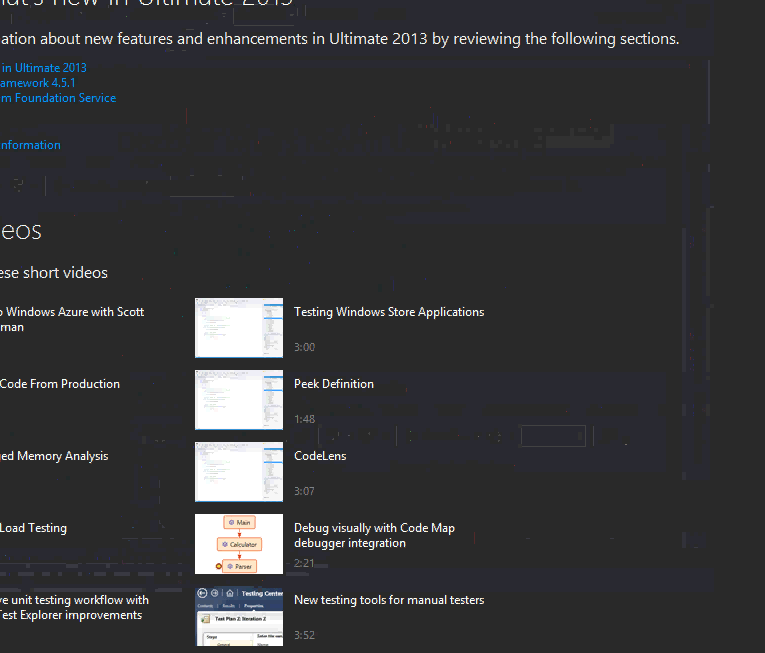 I’ve noticed a lot, particularly in Windows 8, that I get phantom windows. Perhaps the application wanted to create an invisible window but for some reason it gets displayed. 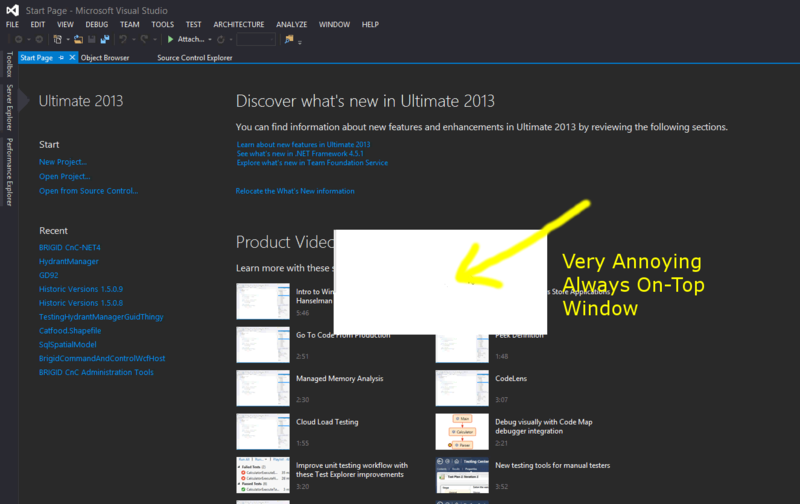 This is very annoying, especially when it sits permanently on top of other windows like this little example here. 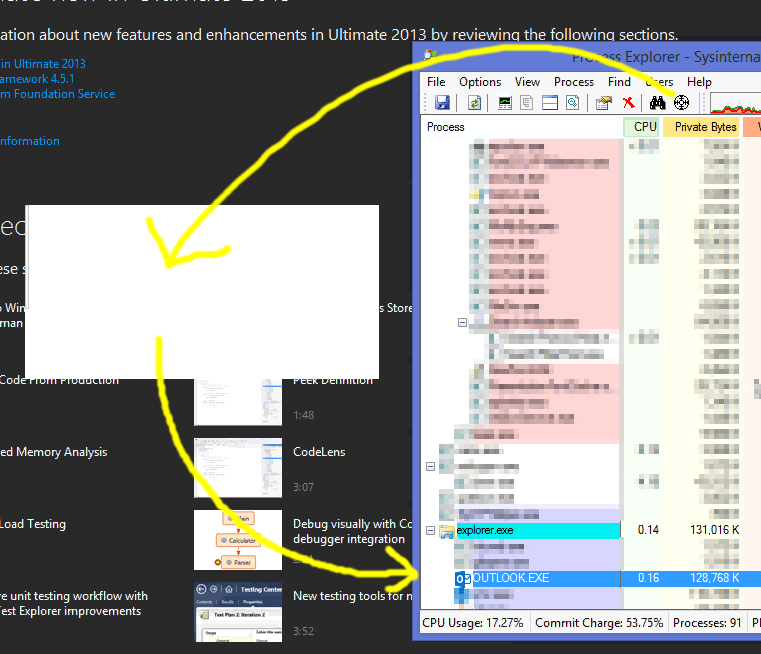 Thankfully there’s a quick and easy way to get rid of them using the rather handy Process Explorer from TechNet. At the top of the app are several buttons, one of them looks a bit like a targeting system and is labelled "Find Window’s Process"
Simply drag that button onto the offending window and drop. Process Explorer will then highlight the process responsible, which you can deal with. In this case it was Outlook and simply restarting the application fixed the problem. This entry was posted in Technology on 2014-05-08 by Tom Fosdick.